Submerged is ranked in the 10th percentile of games scored on OpenCritic. Basically, you'll either dig the lush tedium of this game or you won't. Submerged doesn't want to see you fail, but it doesn't trust you to succeed without its help, either. It bears repeating: Children aren't morons. Submerged knows this, but it still treats its players like they're just kids. Set in a drowned city, this game of exploration lacks the substance or conviction to hold your attention. It's a reasonably short game for £14 – perhaps an afternoon's stuff to do first time through. But it's so unrelentingly lovely, and such a rare pleasure to be experienced without constant worry about being shot in the back of the head, or eaten by a wolf, or running out of time, or any of the other ways games so desperately want to concern us. About as exciting as watching the tide come in. The game Submerged could have, and by all accounts wanted to be is still hidden here somewhere, but that hardly matters when it so fervently refuses to let you see it. What impressed me most about Submerged is that it never tries to be more than its concept. It set out to be a simple narrative-driven and emotional experience with a strong environmental message, and it achieves just that. With no unnecessary actions to distract those with limited attention spans it might be perceieved as "dull" by some, but in practice it's a reflective, mature, and artful work, and this here is where games should be going. Submerged won't be a game for everyone, in the same way that the likes of Gone Home and Dear Esther aren't for everyone, but that doesn't make it any less remarkable. But if you can hear the music that this game is playing - and I'd urge you to give it an earnest go - you'll find something that may just take your breath away. A short, sweet, melancholic exploration game that offers precious few hours of gameplay, but it's beautiful to look at, and highly enjoyable to play. Submerged isn't a lengthy game or a game of innovative ideas and sophisticated gameplay, but it is a rich and haunting experience that uses exploration to tell its story. Its minimalist approach won't be for everyone, but connect and this could be one of the most memorable games you play this year. It's easy to get lost inside Submerged's desolate seascapes. Its desire for pacifism and drive for hope are worthy talents, but it's the call to adventure—to indulge and explore marine tranquility and conquering vegetation—that you'll keep with you, if only for a little while. One of the most relaxing games I've played in ages. Submerged is a game happy to let the player explore, with minimal challenge making for an experience that focuses on player exploration and stopping to enjoy the view. The story of the children and the desolate world around them slowly becomes clearer, leaving just enough room for the player's personal interpretation. Submerged left me thinking, wondering, curious. That's what sticks with me, I want to go back at my own leisure and explore the world, find those secrets, and complete that world's story. Submerged is a short but impactful experience, crafting sound and sight together to create something unique and different from the mold. It won't keep you coming back for days and weeks, but in its runtime it stands out as one of the most intimate and interesting interactive set pieces I've played this year. Submerged is an interesting game in that it swaps out conventional combat mechanics for pure exploration. This means that it's not a challenging game, but it is still fairly engaging. Collecting more parts of the puzzle will keep you playing and driving around in the boat is easy to get the hang of. The climbing mechanics can be a little frustrating in comparison, but you will get used to them in time. The mysterious game crash still remains a mystery, but this seems like a very rare occurrence. For its length, it's hard to fully justify its initial asking price, but the content that's there doesn't outstay its welcome or feel overly short. Whether you fancy something less action packed, or just a quick and easy game, Submerged will be an enjoyable journey while it lasts. A game of two parts, one that makes you feel so relaxed within its world and another that just about works, but feels like it doesn't quite belong in this experience. Submerged attempts to replace tension with curiosity as a motivating force, and largely succeeds even though its environmental storytelling isn't as dense as it could've been. It's an unchallenging, occasionally beautiful experience that caters to our instinct to see what's on the other side of the mountain. In the moments where Submerged rewarded inquisitiveness, I loved it. When it occasionally stumbled in that responsibility, I found myself wishing for a more polished and complete world to explore. Submerged is a flawed exploration game that relies too heavily on boring climbing mechanics and stiff animations, but its top-notch atmospheric setting and soothing, relaxing soundtrack might be enough to guarantee at least a foray into its flooded canals. Despite it's cumbersome and repetitive climbing mechanics, gathering objects and reconstructing the story of the characters kept me going on trying to find supplies to heal the wounded Taku. It is a short game, completable in around 3 hours, so i would recommend it if you are into the exploring genre. Exploration can get very boring when you're just doing the same thing over and over again, but the intriguing game world, soothing soundtrack and unfolding story ensure Submerged keeps its head just above water. 'Submerged' is a special kind of game. I won't go so far as to say that it is fun for all of its tiny runtime, nor will I say that it's a half-baked mess of pretentious ideas. I did like that it offers a break from the zeitgeist of contemporary gaming in which bombastic, explosive shooters, faux-edgy action titles, and painfully difficult roguelikes seem to be all the rage. It's not for everyone, but go in with an open mind and you may find something interesting underneath the surface. Submerged is underwhelming. It squanders a promising opening, and its slight mechanics will no doubt give ammo to those who question the validity of exploration titles. Submerged is a game you could easily cruise through in just a couple of hours, but the narrative rewards were enough to keep me searching the city for additional clues despite action that eventually became tedious. There are solid ideas at play here, sure, but the lack of challenge or any substantial meat on its bones make Submerged flounder where it should soar. Submerged tries to go for the same vibe as Journey but falls short. The game world is interesting, but the brief stay in it is tiresome since you're only given one environment. The climbing mechanics are so easy that the courses don't provide any challenge, so the only tough part is in finding the supply drop locations. It doesn't help that the main story isn't very intriguing, and neither is the story of the city, especially since you figure it out faster via the cut scenes than from the illustrations you pick up. There's no need to rush and check out Submerged right away. Submerged's beautiful setting and sunken post-apocalyptic world were not enough to offset the absence of combat and challenge. Submerged is not a bad game, but most certainly not an outstanding one. I enjoyed what it did for the time it took me to finish the story, but for players looking for more substance, there are other games out there that offer more. As broken as the world is, it's also incredibly beautiful. The unfortunate part however, is that it isn't all that varied. Submerged just ends up being a disappointment. Great ideas in the storytelling and presentation are lost with a poor connection to characters and truly lacking gameplay. All the great intentions in the world don't mean anything if they don't convey into a fun game experience. Go play Journey instead. On a surface level, it looks like it ticks all the boxes for this new-wave of exploration games – that are rapidly gaining popularity with developers and gamers alike – but at a deeper conceptual and technical level is falls far short of it sources of reference. Submerged has an interesting concept and artistic presentations very well built. Navigation and exploration are exciting at first until you notice the constant reuse of textures and similarities of some constructions. Some of the most different buildings cannot be climbed which is a bit frustrating. 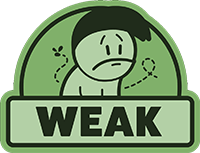 But the game's biggest downs are in the weak history and in the climbing mechanics, which presents no challenge at all and is extremely boring at some points. Despite some beautiful vistas the game has little to offer and I do not recommend it on its base price. The title's biggest downfall, then, is not any one single thing, but rather its overwhelming ambition. And in the grand scheme of things, perhaps that's not the worst problem to have. Indeed, despite its admittedly frequent rough patches, it's very hard to not admire the way this humble indie game so earnestly reaches for the stars. Submerged feels like a concept rather than a complete game. What's here is so slight, the story so flimsy, that it left almost no impression on me. Despite its interesting premise, Submerged never achieves more than mediocrity due to its repetitive gameplay, lacklustre execution, and unpolished world design. Combined with no challenge to its climbing, other than a few misdirections that effectively punish you with the tedium of having to go backwards, the game misses the mark on taking its promising and, at least, baseline effective parts and turning them into something as strong as Shadow of the Colossus. Even if you were to remove that comparison, the game stumbles to create a consistent experience on its own. And at some point, it would be fair to argue that the comparison is being a little generous. A slow-moving pace and undemanding platforming might be a draw to the more brain-addled gamer, perhaps enduring a slow-moving Sunday afternoon or a comedown from a particularly Red Bull-heavy Friday night. Nevertheless, there's still an aching sense of potential behind Miku's adventure that will leave you thinking what could've been. As it is, Submerged is pretty forgettable, and sinks rather than swims in the wake of other superior indie journeys. Journey in particular. Submerged is skeletal and unoiled. It is damned by competence: a short story that checks the boxes, but in doing so leaves no mark. I fell asleep twice while playing it, shaken awake by Miku's worsening cough, just looking to fix up Taku and motorboat out as fast as possible. It's a game that has no ambition and says nothing, and through that, quietly stumbles, erodes, and disappears, leaving no impression, no haunting memories. Submerged is...Well, it exists. It wants to stand beside games like Journey, yet missed the mark so much on why Journey worked. It puts you in a world and expects you to be amazed, but never delivers any reason to become attached or really, a world pretty enough to just become absorbed into visually. Float on. Even at only three-to-four hours in length, Submerged feels padded. Submerged is very pretty, but there isn't much to keep you playing and it's not worth the price tag. After only ten minutes in the game you've already experienced everything that Submerged has to offer. It's a rather dull and shallow title in what could have been an exciting and scary world. There is no combat, no urgency, and no chance of failure. The gameplay is boring, the landmarks and scenery are mediocre, and the story is almost nonexistent. Submerged is a rapidly sinking ship that never even left the harbor. Submerged could have been interesting. It could have offered a nice challenge, a good setting, a good story, but it did none of these things. Submerged ended up being so samey and monotonous that it isn't really worth playing through when you realize the first half hour is what the entire game is. Sunk by lacklustre gameplay, cliched storytelling and technical hiccups, Submerged is one of the biggest missed opportunities in recent memory. Submerged is not a broken game. It functions and provides an intriguing little story over its three hour timespan. However, there's no sense of joy to actually playing. Why isn't there even a feeling of awe when exploring this flooded cityscape? It's incredibly strange how this game managed to flounder so badly but it seems the key factor is uncompelling (and sometimes aggravating) gameplay. Even the most diehard collectible hunters will find it tough to slog through the slow ascent up samey buildings multiple times to grab a new drawing. Submerged had a fabulous idea but its execution simply couldn't stand up to the concept. As much as I wanted to fall in love with Submerged, it's standing proof that a game needs more than good looks and a unique angle to win me over. With the 'emotional' story-driven approach slowly receding from the frontline of gaming, I'm left craving fun and challenging experiences that have us do more than haplessly roam within the confines of a digital sandbox. I am here to say it isn't. A game so proud of its lack of combat needs something else. Otherwise it's simply a game with a great big hole in it. You're better off saving your money instead of sinking it on the titanic failure that is Submerged. Submerged can only be described as a huge disappointment that squandered its potential thanks to some terrible design decisions and being let out the door far too early. Its story is laughable at best, we couldn't muster up any care for the main character Miku and gameplay itself becomes a drag very quickly. The controls are dreadful and the core mechanic within gameplay, the climbing, is clunky and unresponsive. While the soundtrack is fantastic, it isn't enough to make us ignore the glaring problems the game has in terms of performance. 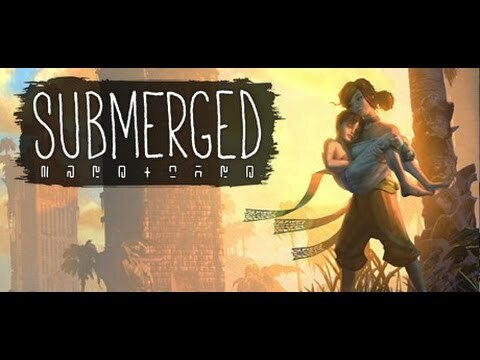 Submerged turned out pretty horrible, and while its concept sounded okay on paper, sadly, the execution is an unbelievable disaster. Ugly, extremely rough, buggy and boring; Submerged should be cast off and is not worth the asking price at all. Anyone who might be interested in a, atmospheric exploration game should just play the HD collection of Ico and Shadow of the Colossus, or get Journey. There might have been a good idea at the heart of Submerged, but its execution is such a catastrophe that it's practically impossible to find it. Any emotional impact outside of pure anger that this short, repetitive title may have had is completely lost due to a number of technical issues and flat-out design flaws.